Christmas Bird Counts often start in the wee hours of the morning. Nathan Gatto began searching for owls at Hobby Park at 4:00 AM. Despite three hours of effort, he did not find any owls, but he did see an American Woodcock, the only one for the count. Searching for owls at Reynolda. Photo by David Collins. Over at Reynolda, David Collins, a first-time Christmas Bird Count (CBC) participant, may have brought Jim Martin’s team a bit of “beginner’s luck.” They started at 6:00 AM in the dark woods behind Reynolda House and soon heard the call of a Great Horned Owl. Playing a recording of a Barred Owl call brought two owls into the trees above them calling loudly. David was amazed. And, hooked on birding, we hope. Seasoned birders like to encourage new birders to participate in their first Christmas Bird Count. It’s a bit like an initiation into the world of birding. 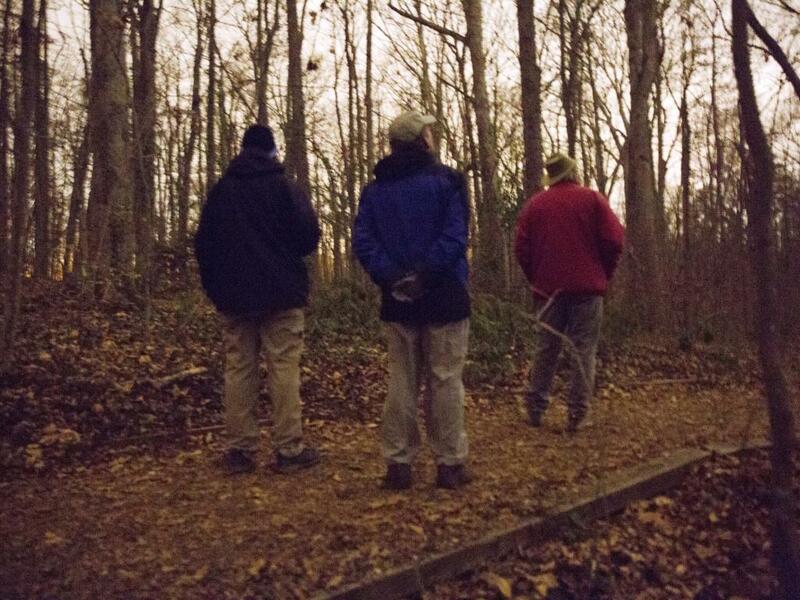 No screech owls answered repeated calls at Reynolda, but Brent Gearhart heard one at C.G. Hill Park. This hit and miss birding is typical of CBCs and a big part of what makes them fun. Birders love surprises. It’s also the reason that we split up into teams, each covering a different area of our 15-mile diameter count circle. This year we had fifty-four participants on twelve teams. Emrys watching Peregrine Falcons on his first CBC. Photo by Kim Brand. Another first-time CBC participant was Kim Brand’s young friend, six-year-old Emrys. He and his mom, Mollye Maxner, joined Kim’s team mid-morning. Earlier, Emrys had collected change to donate to the National Audubon Society and mailed it in. By happy coincidence, his Audubon blanket (a thank-you gift) arrived while he was out birding on his first CBC! 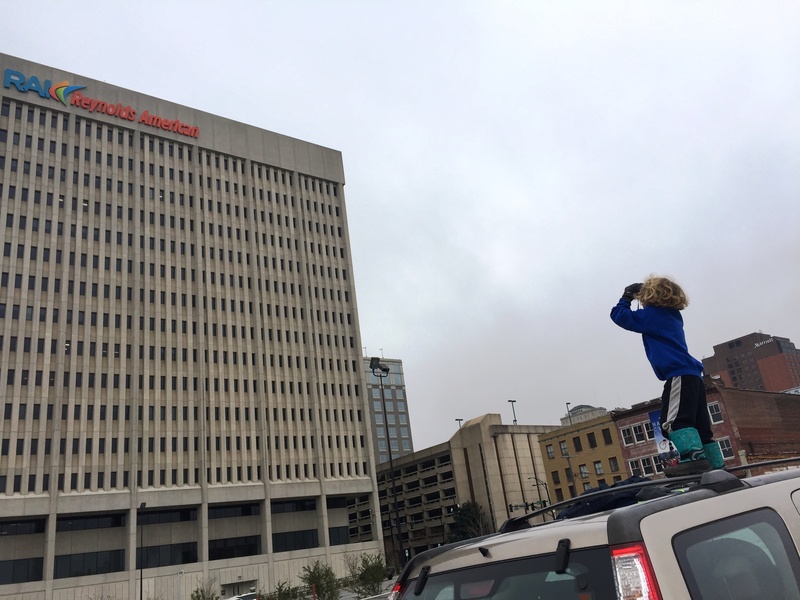 The first birds that Emrys and Mollye saw on the CBC were a pair of Peregrine Falcons in downtown Winston-Salem. They got great looks, and then went to Reynolds Park where they got good looks at a Barred Owl that was pointed out by people playing Pokémon Go. Kim says that Emrys did not want to stop birding! He was still hoping to see a Golden or Bald Eagle. Northern Parula photographed by David Disher in early September. 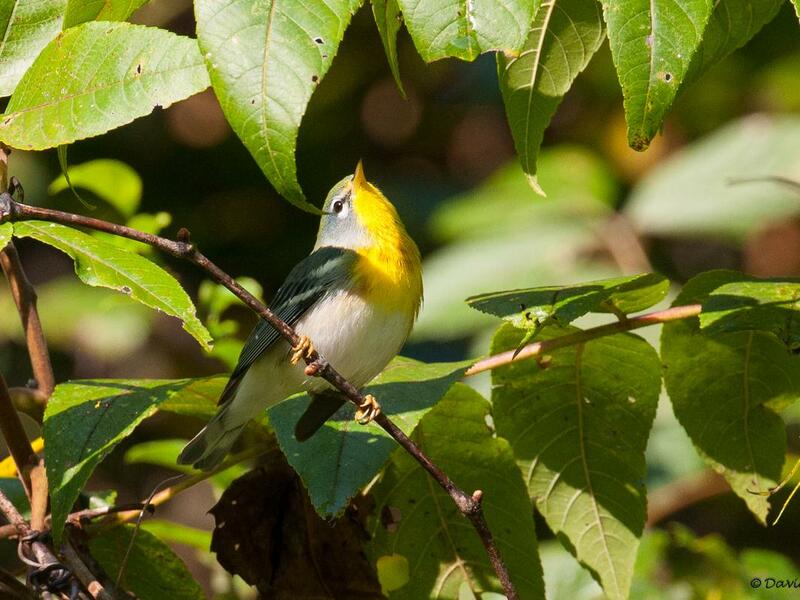 Kim’s team, led by Jeremy Reiskind, also had the most surprising bird of the count – a Northern Parula. Doug Demarest and Kim spied a tiny bird in a Magnolia tree at the stone arch entrance to Washington Park. It was hard for them to believe their eyes, but they got excellent looks at the little bird with a yellow upper chest, blue gray head and wings, white arcs above and below the eye, wing bars, green back, white belly and undertail coverts. Northern Parulas are common here in spring, but, by December, most are in Florida, the Caribbean, or Central America. Orange-crowned Wabler photographed by Nathan Gatto in 2015. 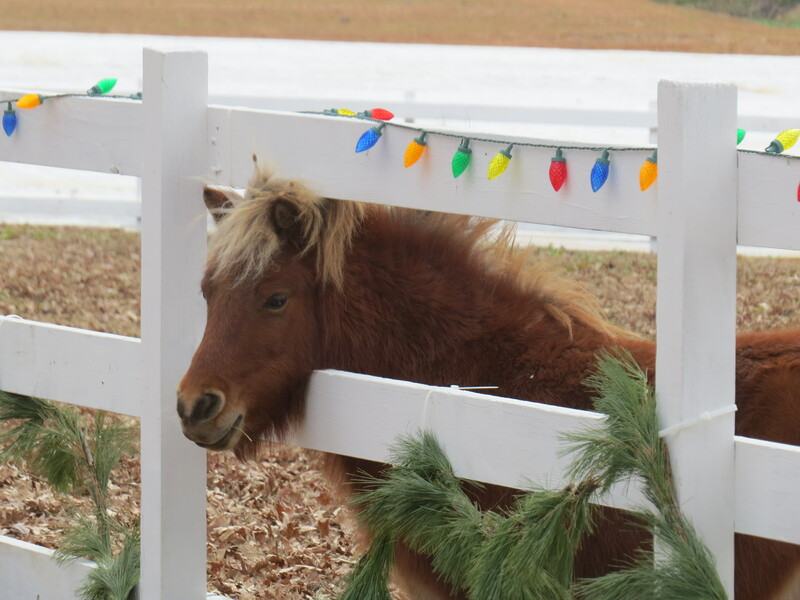 Miniature horse at The Children’s Home. Photo by Heather Moir. This year’s Winston-Salem CBC set a record for species at 93 (with 13,016 individual birds), or four better than the record of 89 last year. Yet several of us found it strangely quiet. 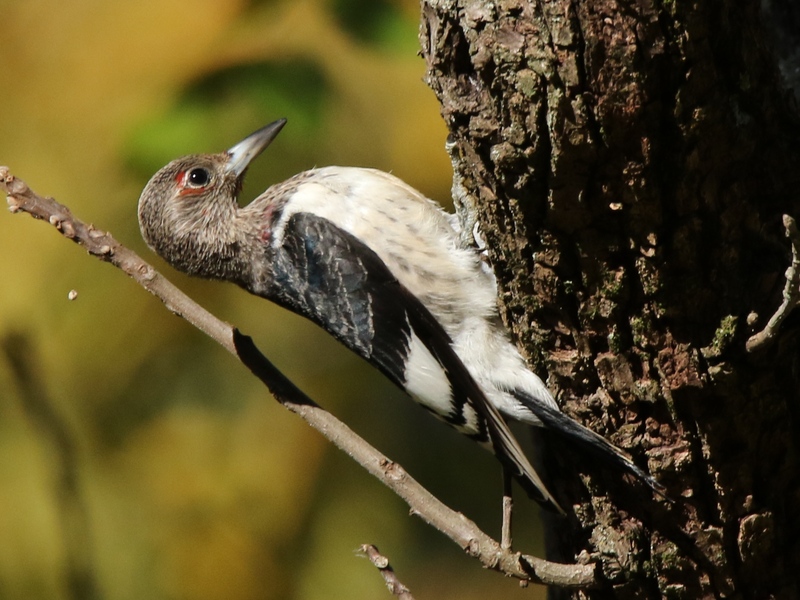 Heather reported that they had to work to find the Red-bellied Woodpeckers that typically seem to follow them through Miller Park. I called Carol Gearhart at C.G. Hill Park mid-morning and she greeted me with, “Is it as dead there as it is here?” Our team was thrilled when we finally had a flock of American Robins fly over at 3:00 PM, our first of the day. But, Robins make it to the Top 10 list! Again, evidence that the team approach to Christmas Bird Counts produces the best results. 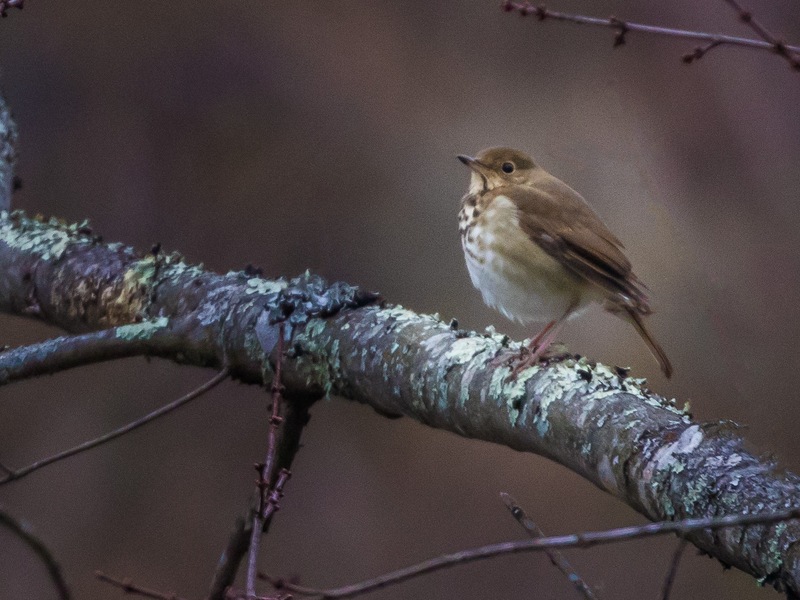 A Hermit Thrush at Reynolda, always a CBC favorite. Photo by David Collins. For a brief history of the Christmas Bird Count, see the Wikipedia article which begins as follows. For more in-depth information about the CBC, see the official Audubon Christmas Bird Count website. Plan to join in the fun next year! Whether it’s your first CBC or your 100th, you never know what you might find. 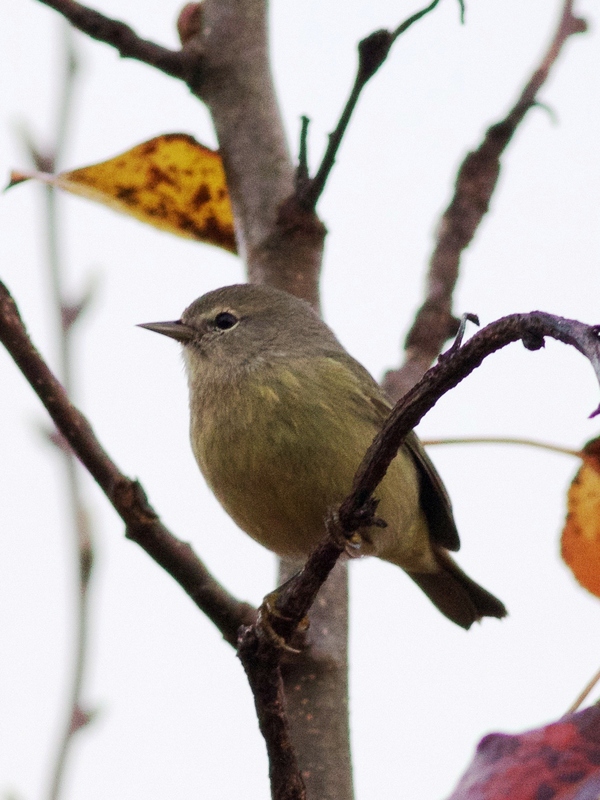 The Winston-Salem Christmas Bird Count set a new record for the number of species seen. The count on Saturday, Dec. 19th yielded 14,482 birds of 91 species. They were found by 54 birders in 12 teams. The previous record was 87 species in 2013 and 2014. 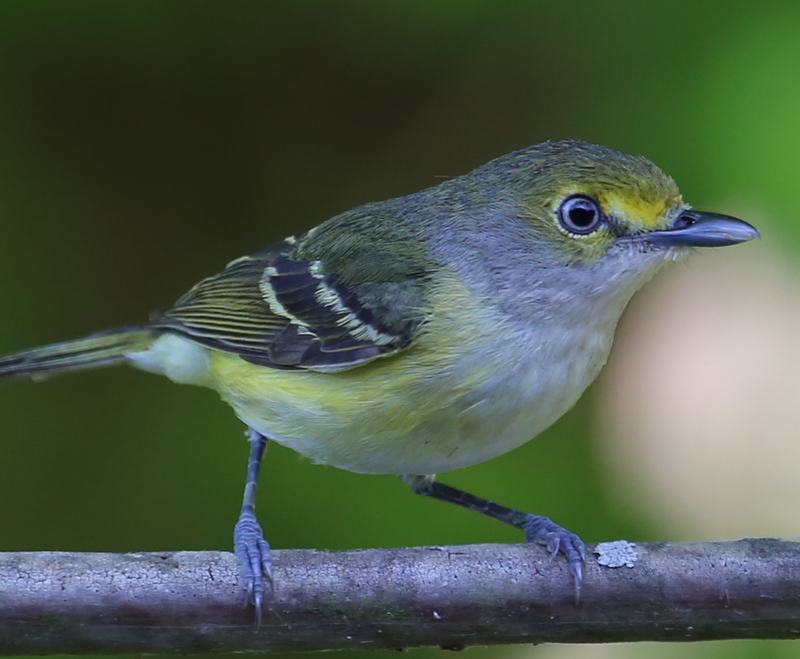 The most notable birds were the Buff-bellied Hummingbird that has been visiting feeders near Wake Forest since September, a Nashville Warbler and three Orange-crowned Warblers. 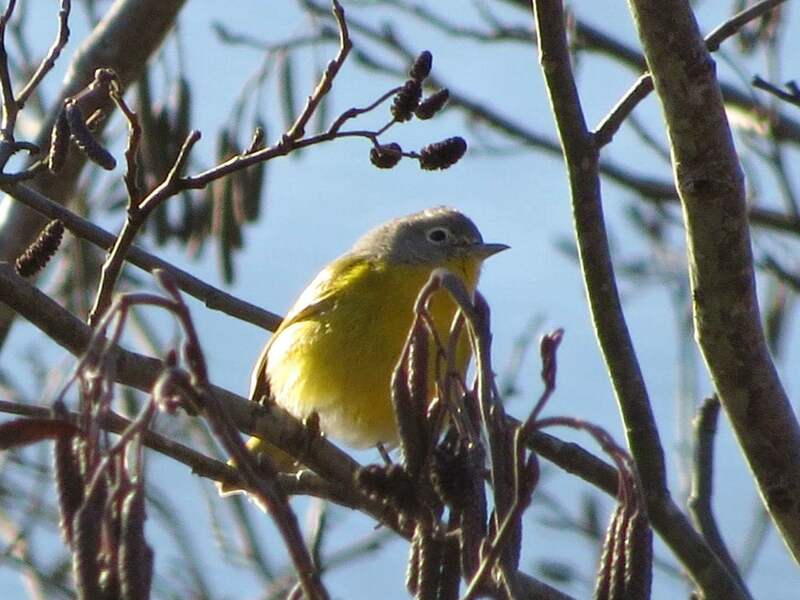 Below is Cara Woods’ photo of the Nashville Warbler found by the Bethabara team. This year’s count was held a couple of weeks earlier than the past few years and that meant that a few species of waterfowl that typically arrive a little later in winter were not found. Other good finds were three Bald Eagles seen by the Northside team; three Bonaparte’s and one Herring Gull in addition to the expected Ring-billed Gulls at Salem Lake; and the two Peregrine Falcons that have been hanging out downtown. Of particular interest was the number of Red-headed Woodpeckers. They were seen by 7 of 12 teams, mostly in ones and twos, but the Tanglewood team found 7, for a total of 15. This is the second largest number of Red-headed Woodpeckers on the Winston-Salem CBC, after 18 were counted in 1971. The average number of these birds over the past 30 years is less than 2 per year. Many of the Red-headed Woodpeckers were immature birds like the one below photographed by Wayne Petel at Tanglewood in October. Count week species were a Merlin seen by Hop Hopkins on Kapp Road in Pfafftown and a Bobwhite observed by the Hammonds in northern Forsyth County. The Spring Bird Count is one of the Forsyth Audubon’s two biggest birding events of the year. The Christmas Bird Count gets more notoriety because it’s a part of National Audubon Society’s 114 year tradition. But the spring count is arguably the more exciting because it is timed to coincide with the return of many migrating birds and so far more bird species are seen then instead of the dead of winter. 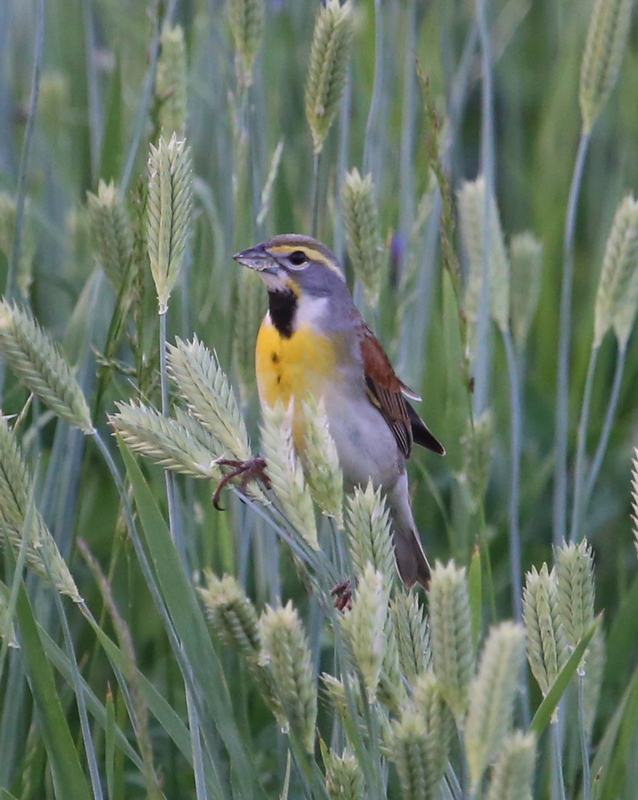 We enjoyed a very successful Spring Bird Count on May 3rd despite fielding just 48 participants compared to last year’s 57 – the highest number in the state’s 22 counts. 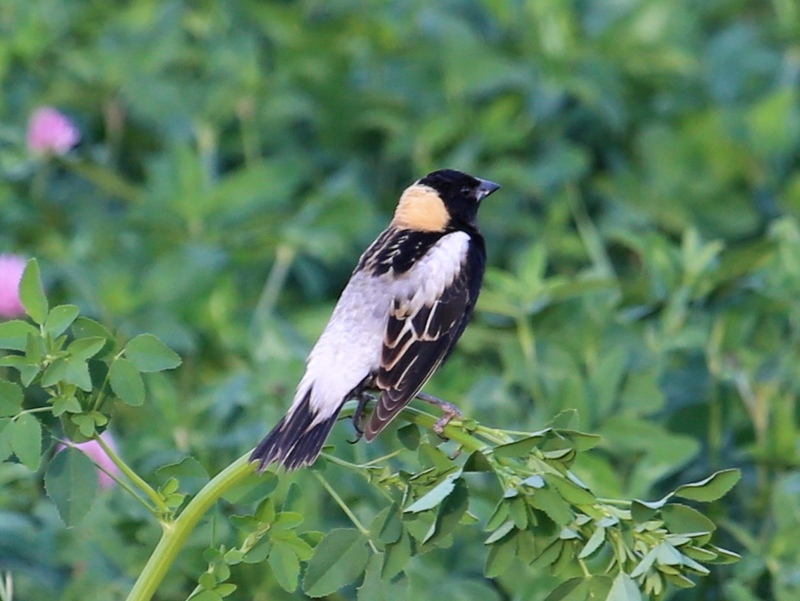 Bobolinks were found in a new location this year. Many Forsyth birders enjoyed seeing them at the easily accessible Research Parkway. Photo by Nathan Gatto. Salem Lake is the best habitat for aquatic birds and its team found several waterfowl not seen elsewhere on this day. A Pied-billed Grebe, Ruddy Duck and two Ring-billed Ducks were among a few typical winter residents that have usually headed north by this date. Cynthia Donaldson’s team covers the northern part of the county, including the landfill. Not the kind of place most people would expect to attract birds, its expanse of grassland often hosts some interesting birds. This year, they included a Northern Harrier and 8 Grasshopper Sparrows. They were excited to find a male Wilson’s Warbler in the wooded edge of the landfill when scouting the day before the count. The bird cooperated by showing up again on count day. Wilson’s Warbler at Hanes Mill Road landfill. Photo by David Disher. 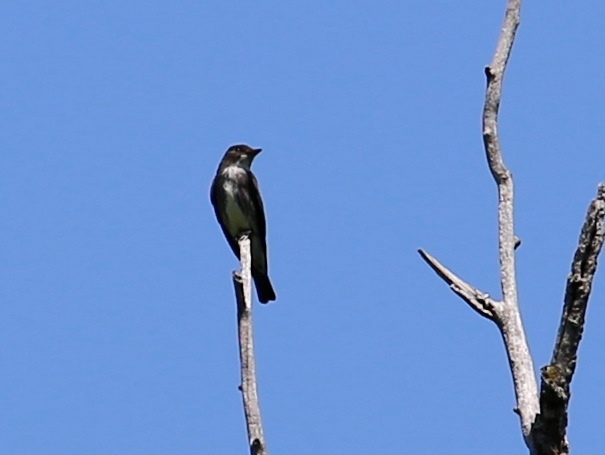 Reynolda Gardens had the most notable sighting of the count – an Olive-sided Flycatcher. This birds is fairly regular at Lake Katharine during both spring and fall migration, but this was the first ever on our spring survey. Olive-sided Flycatcher at Reynolda Gardens. Photo by Nathan Gatto. A Bald Eagle in its fourth-year was seen at Tanglewood Park. The estimated age of the bird is based on plumage. This one had a completely white head, but its underparts were mottled, not the solid brown of an adult, and its tail was not pure white. This was only the second eagle for a spring count, following last year’s first sighting. Two Rusty Blackbirds seen by the Bethabara team were the first on a spring survey since 2008. Barred Owl numbers have grown slowly but steadily in recent years. We have averaged 2-3 per count for 20 years, but found 10 of them this year, with one or more on 6 of the 13 areas surveyed. White-eyed Vireo observed on count day. Photo by Nathan Gatto. Much lower than average numbers of Chimney Swifts and Cedar Waxwings were found this year. Swifts numbered 58 whereas they average 196. Just 89 waxings were counted in contrast to the yearly average of 228. 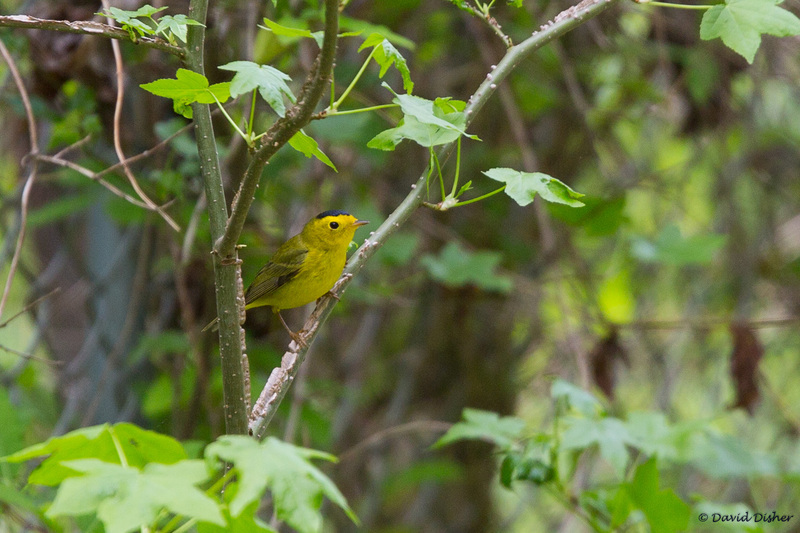 Warblers were well represented with 28 species, including Blue-winged, Kentucky and Wilson’s. Eleven count week species included a pair of Dickcissels that stayed around for over a week. Dickcissel at Research Parkway. Photo by Nathan Gatto. Mary Franklin Blackburn, Kim Brand, Becky Clark, Nita Colvin, Mike Conway, Phil Crisp, Carol Cunningham, Larry Davis, Linda Davis, Phil Dickinson, David Disher, Susan Disher, Cynthia Donaldson, Kerry Eckhardt, Susan Fulton, Nathan Gatto, Carol Gearhart, Bill Gifford, Elnora Gore, John Haire, Sven Halling, Bill Hammond, Elaine Hammond, John Hammond, Susan Hammond, Marbry Hopkins, Royce Hough, Norma-May Isakow, Bill Jackson, Camille Jones, Jim Martin, Craig McCleary, Laura McGowen, Theresa McGowen, Tom McKay, Ron Morris, Ann Newsome, Meline Price, Jeremy Reiskind, Rob Rogers, Shelley Rutkin, Gene Schepker, Miles Silman, Ann Stupka, Bill Sugg, Chuck Thompson, Cindy Thompson, Maulik Trivedi, Gray Tuttle.